With the NFL Draft drawing closer and closer, it’s not hard to find trade predictions ranging from the likely to the outlandish. 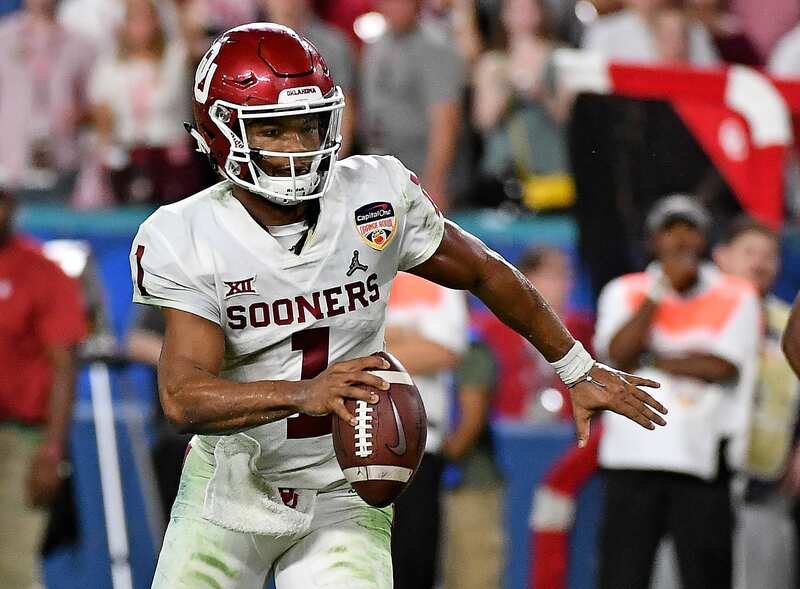 Perhaps between the two extremes is the one laid out by the latest CBS Sports mock draft, which predicts that the New York Giants will go for quarterback Russell Wilson over picking any player in the first round this year. Is it likely? Maybe not, given the moves the Giants front office has made so far. But out of the veteran options for trades, it looks like Wilson is the one that has the most ‘connection’ to New York and the Giants already, so to speak. New York gives up its two first-round picks this year (No. 6 and No. 17) as well as a second-round pick this year AND a second-round pick in 2020 in exchange for Wilson. That’s four pretty darn good picks and about as close as the Seahawks will get to the hypothetical three first-round selections they want for Wilson. The mock draft has the Seahawks taking Kyler Murray with the third pick as their replacement for Wilson. But in reality, of course, the Jets are picking third overall. In this scenario, the Seahawks trade their second round pick and the number six overall pick to the Jets, who take offensive lineman Jawaan Taylor from Florida. While this scenario would fix the quarterback problems for the Giants, it doesn’t seem like a likely route. The team would inherit the problems that the Seahawks are having right now with figuring out the problem of paying Russell Wilson, and it doesn’t look like the Giants bothered acquiring another first round draft pick as part of the Odell Beckham Jr. trade just to trade that pick to move out of the first round entirely. The most likely route is that the Giants don’t acquire a quarterback at all or go for a rookie one over a veteran this year. But if they did make the move to bring Russell Wilson in? That would definitely restore some interest in this season and would be a sight to see.